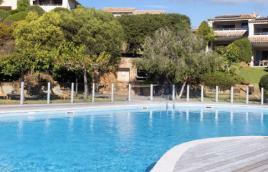 Funtana Marina residence is an ideal location for your holidays in Porto-Vecchio, south Corsica. 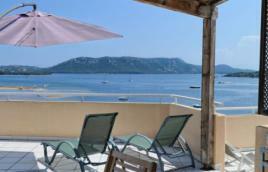 The residence offers an astonished seaview and you can reach the beautiful Palombaggia beaches by a direct private path. Our 4 stars residence in Porto-Vecchio proposes weekly stays in high standing accommodations with all confort and equipments : studio up to villa. Most of the seaside or nature activities are available in the surroundings, you can also visit Porto-Vecchio, Bonifacio and the most famous white sand beaches of south Corsica. 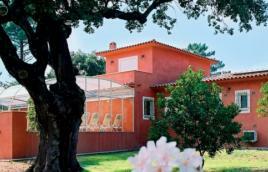 The natural environnent of Alta Rocca area is to be discover nearby. 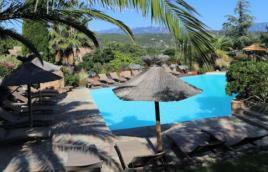 Live your holidays as a dream !